A police force has been criticised over handling of cases involving children. 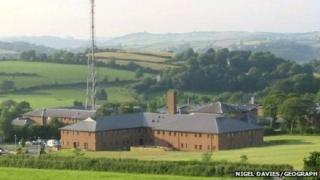 An inspection by HM Inspectorate of Constabulary (HMIC) found significant delays in the investigation of child protection cases by Dyfed-Powys Police. The report also found children were being unnecessarily detained in police custody overnight and there was a lack of understanding of the extent of child sexual exploitation. But it found a strong commitment to improving child protection services. The force was also found to have highly committed staff who manage child abuse investigations, while inquiries into cases involving the immediate safety of children were carried out quickly. HMIC inspector Dru Sharpling said: "There is room for improvement in some important areas. "For instance, a number of the cases we looked at where children had gone missing from home showed that the risk of child sexual exploitation had not been considered. "In one case this resulted in children being referred to as "attention seekers", which left them exposed to the risk of sexual exploitation." Dyfed-Powys Police Det Supt Andy John welcomed the report, adding: "Protecting children and vulnerable people is a priority for the organisation."